Swimming Machines - SXM is pleased to bring sales and installation of the remarkable Endless Pools® products to the northeastern Caribbean region. Until you have tried one of these ultimate fitness tools yourself, it is impossible to know how great a swim workout can be. But, swimming is only the beginning. Water jogging and aqua aerobics, among other exercise options make an Endless Pool or spa an amazing asset that is convenient and completely adaptable to each family member's individual needs and preferences. Now, on St. Maarten, you can try for yourself and see what all the excitement is about. 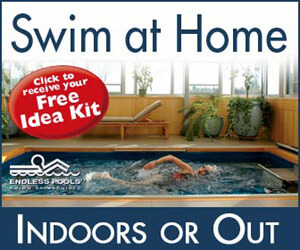 Contact us with any questions or to schedule a test swim at your convenience.